Members of Michigan Coalition Against Tar Sands are organizing a bike ride against the flow of Line 5. The riders will be cycling about 750-1,000 miles to reach out to community members, organizations, and businesses residing along the pipeline route who would be most affected by a pipeline rupture. We'll be knocking on doors, talking to residents, leaving literature, and doing informational events. Making special stops such as near the Straits of Mackinac, where the pipeline runs directly in freshwater for 5 miles, as well as in Crystal Falls, MI, where Line 5 gushed more than 220,000 gal (850,000 L) of oil and natural gas liquids into a nearby marsh back in 1999. 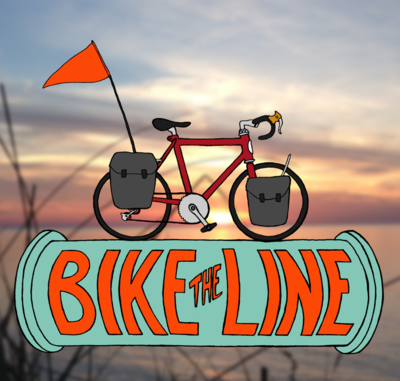 If you are interested in riding with us, hosting the riders, helping book and promote an event, or if you are an individual or part of an organization that would like to support the ride in some other way, please get in touch with us at biketheline@riseup.net or http://www.biketheline.org/contact-us/. We'll need money for food, bicycle parts and repairs, lodging and miscellaneous costs. Any extra money raised will go to help the MI CATS organize against Line 5, the fossil fuel industry, and corrupt government. This summer, a group of cyclists will ride against the flow of Enbridge Line 5 from Marysville, MI to Superior, WI to help #ShutDownLine5. Caroline Unger, a dear friend made a $100.00 donation. Wes & Jen made a $50.00 donation. CACC made a $100.00 donation. Reanna Ursin made a $25.00 donation. Moose made a $12.00 donation. CONNIE & CHAMBRE BEAUVAIS made a $20.00 donation. Aleksandra Feldman made a $25.00 donation. Paul Simons made a $25.00 donation. Judith A Skog made a $25.00 donation. Louis M Novak made a $25.00 donation.